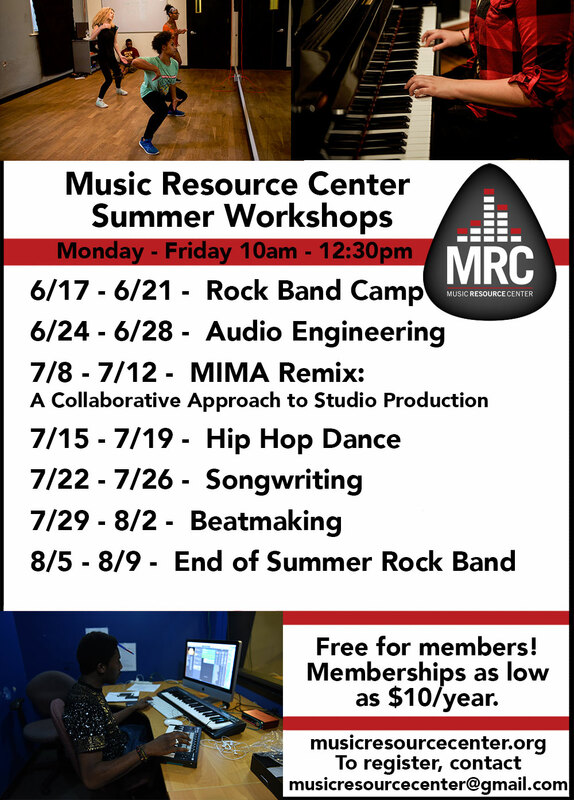 Each summer the MRC offers seven weeks of summer workshops at no additional cost to members. An example of camps we offer are Rock Band Camp, Audio Engineering, Hip Hop Dance, Songwriting, and Beatmaking. All camps run 10am-12:30pm Monday-Friday. The MRC is open to all members who are not enrolled in camp 12pm-5pm M-F.
© 2018 Music Resource Center. All Rights Reserved.